Operating from Finland, not all the luthier tonewoods grow at my backyard. Most of the supplies will have to be ordered via internet all over the world. If you are like myself, you'll probably appreciate some links to vendors of good stuff around the globe. First of all, ebay is a good starting point. There you find the infinite market and all the possibilities available. I've got some good deals in the auctions, but they can get a bit heavy to follow, especially as most of the auctions end around 01-04 am our time. And usually it's impossible to win without keeping an eye at the auction price 'till the last minute. So I prefer "buy it now" or "best offer" -listings. And I've also contacted the sellers straight via email, as many of them have their own online stores. That way, I usually get to choose from a broader stock variety. Of the ebay sellers, taisamlu offers nice water buffalo bone bridge pins at ridiculous prices. Some nice armrests, rosettes and ready to use bone nuts n' saddles as well. Many items ship free internationally. Worth checking out! 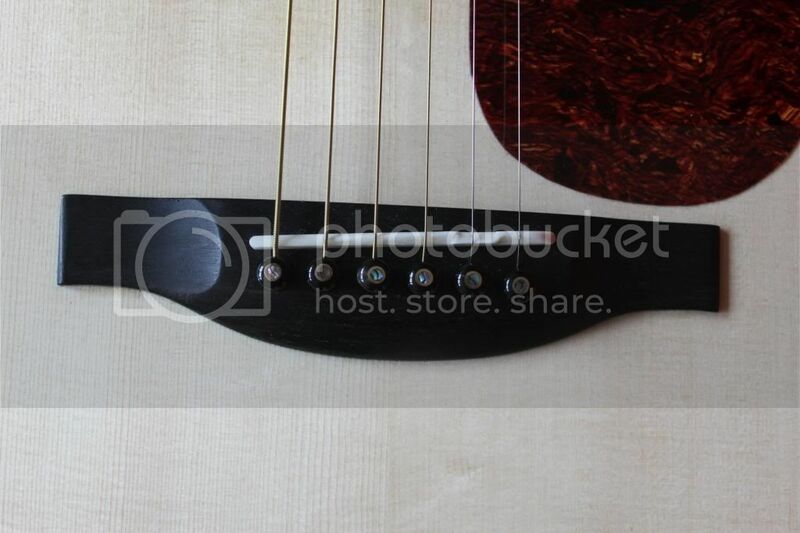 1boardfoot sells very nice ukulele wood with exceptional service. Worth checking out! Last week I received LR Baggs Lyric microphone from Harmon's Music Shop at a very competitive price and free international shipping. A microphone definitely worth checking out! RC tonewoods (Zootman's in ebay) has a very nice variety of different exotic tonewoods. They usually provide sanding services if needed. Of the European vendors, Madinter is a nice go-to site for wood and tools. Their ebony bridge and fingerboard blanks are of high quality and very reasonably priced, and the neck woods, especially spanish cedar, is dirt cheap, yet high quality. That's where I buy my bone nuts and saddle blanks, bracing material and neck block material as well. Some very high quality cocobolo too. Martin at Best Euro-Spruce has been very helpful, and He's provided me with the best spruce top wood and flamed maple I have yet to come across. Through him it's also possible to get U-Beaut Hard Shellac, which is usually out of reach for us Europeans. Karin Rost in Germany is selling very nice wood marquetry with many different colors and patterns. In the US, Stewart-MacDonald is the standard place to go. Extensive tool, tuning machine, truss rod, binding material etc catalog. Fast shipping and very nice customer service as well. Luthiers Merchantile International is good option too. They've got a great "Kit Wizard" on their site, that allows you to build your own kit however you wish, from scratch or further serviced (sides bent, for example). LMII sells nice fine pattern herringbone purfling that I've not found elsewhere. So, here's some options for you to go shopping!